Home is where the heart is, but never the place to watch soccer. It’s nice, comfortable, and no one will complain when I rest my Hong Kong feet on the table. But soccer is never quite as fulfilling without a bunch of people rooting for the same team. Watching soccer at home also means that I cannot cheer at the top of my voice, because I am a considerate neighbour and I cannot help it. With the round of 16 kicking off, and the whole World Cup buzz, here’s five free locations that you should totally check out with your kakis. You can binge on snacks, cheer loudly, and even bring your kids along! 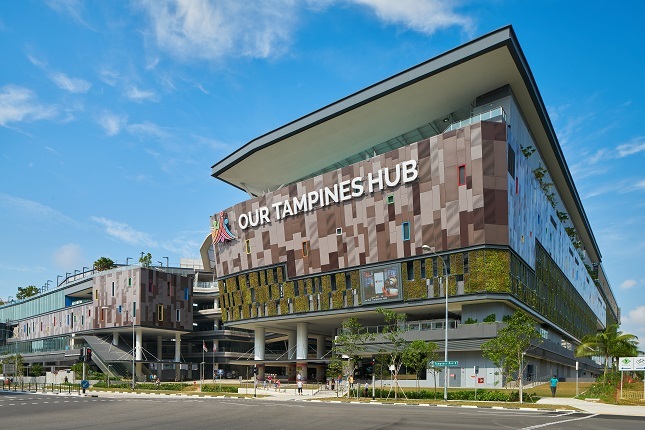 Singapore’s first-ever integrated community and lifestyle hub, OTH strives to bring together multiple agencies, offering a comprehensive range of services and facilities. Yes, facilities include screening World Cup matches this season! Entry is free for all, so expect a huge crowd. Seats are on a first come first served basis, you might want to go there way ahead of time if you want to chope the best seats. Unfortunately though, drinking is not allowed at this family-friendly venue. If your philosophy is that no soccer match is perfect without an ice cold brew, you may want to consider the following venues. Set to be the home to Singapore’s largest celebration of football, OCBC Arena will be transformed into a gigantic football fan party with the installation of a mega 66 sqm LED screen to stream World Cup matches live. On top of the live streaming, there will be a plethora of offerings such as exclusive promotions to the international, and local Premier League matches, and meeting of your favourite soccer heroes. Football-themed family activities, live entertainment, food and beverages are also available for families with children that are constantly hungry. If all other places are packed like sardines, or way too inconvenient for you, try SAFRA! With six branches islandwide, there must be one branch that serves you best. Furthermore, SAFRA members are entitled to special seating, exclusive perks, and fan packs! Participate in the Football Bonanza Draw for a chance to walk away with attractive prizes. Immerse in a lineup of activities such as football carnival, and clinics to truly experience the soccer fever. From 30 June to 15 July 2018, get high with football fever with the super-wide 270-degree screen installed at RWS! Almost the size of two football fields, RWS brings to you the World Cup experience by featuring floodlights, and multi-tiered football pitch seats. Get some buddies and head down to RWS way before the ball starts rolling, because there will be a variety of food, drinks, activities, and entertainment all night long. Don’t we all love some pre-match fun? No, don’t need bring passport! Dreamt of travelling to Russia to watch World Cup live, but your wallet says no every time you open it? Good news - Changi Airport will be screening World Cup live at terminal 3! That’s about the nearest I can be with Russia, without actually forking out a cent. For those travelling during this critical period, you’re in luck - screening is also available at various transit areas. Double good news for those who have a flair for prediction - stand a chance to win Changi gift cards by guessing the winning team! If you’ve lost touch with soccer, or only just getting into the world’s favourite sport, fret not! Find out about each country’s national team from Awesome Maps’ Football Map. At one glance, you can find out about team stats, top scorers, fun facts, and really outrageous stories. If you want to reach the pinnacle of football wisdom, the Football Map is here to help.